Verbatim DVD+RW offers 4.7GB or 120 Minutes of rewritable storage capacity, superior recording quality, and compatibility with 1X to 4X DVD+RW writers. Verbatim 4X DVD+RW is ideal for archiving or backing up 4.7GB of data or 120 minutes of DVD-quality video. 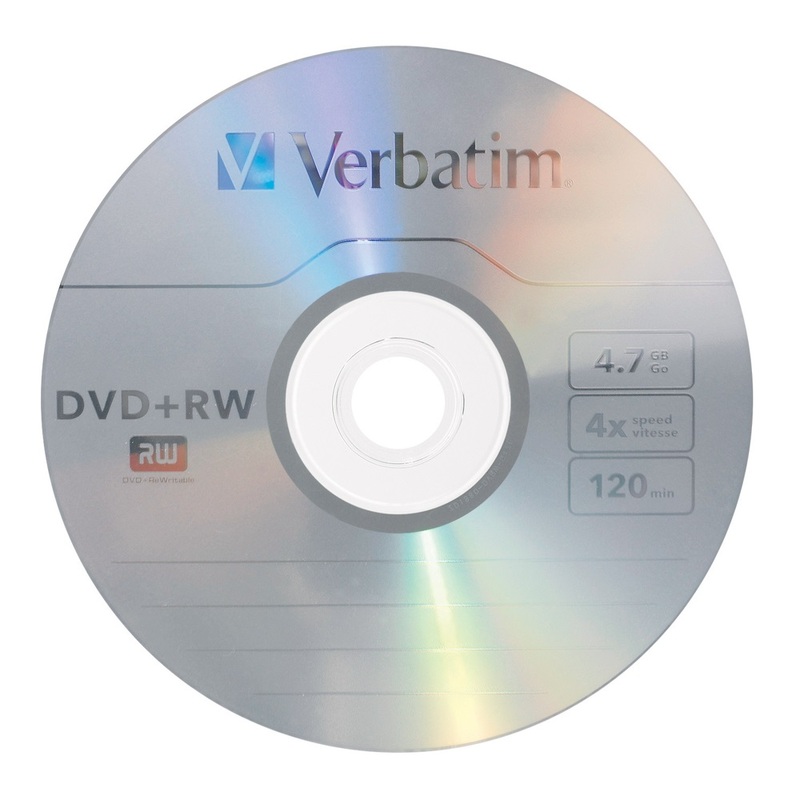 Preferred by DVD drive manufacturers, Verbatim DVD+RW utilises Super Eutectic Recording Layer (SERL) recording dye, which minimises noise during write/rewrite cycles and provides superior archival stability. 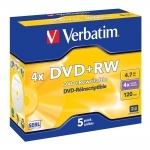 • Compatible with 4X speed DVD+RW writers from Sony, HP, Dell and others.